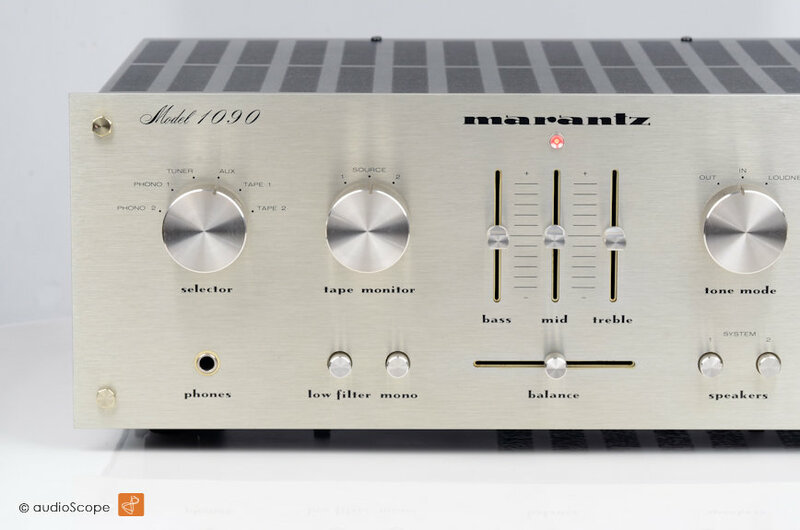 Marantz Model 1090 Integrated Amplifier for sale. 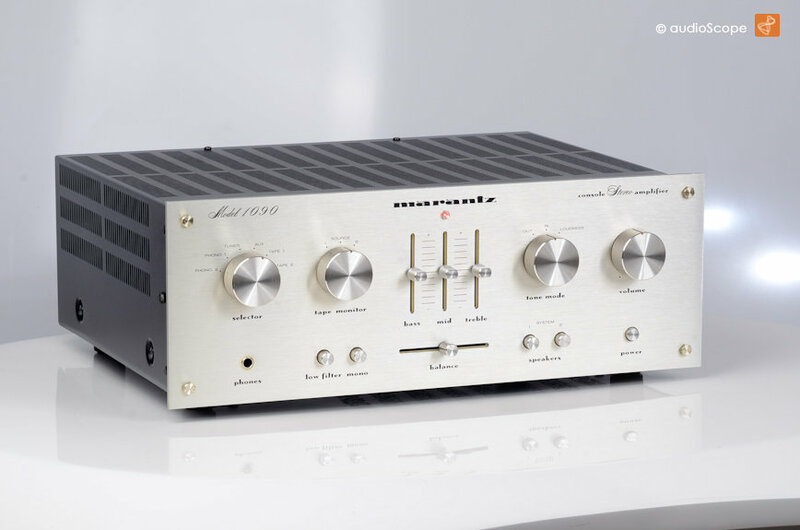 The classic Marantz integrated amplifier in practically mint condition. Perfect for every day usage. Lots of inputs and outputs. You can hook up a real big stereo here. The sound is amazingly vivid and natural. 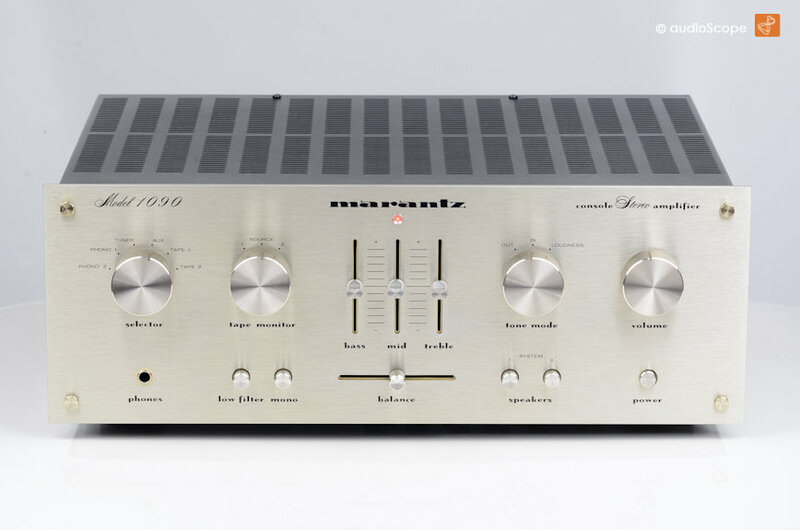 This is often found with MT-100 output transistors are used. 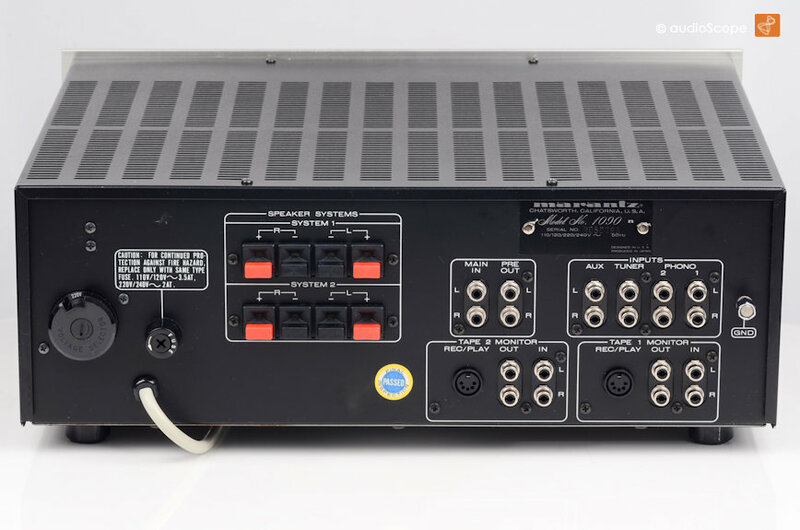 You also find these in the Nakamichi 620 power amp, the legendary Pioneer SA-3000 Integrated amp and in several Benytone amps and receivers. 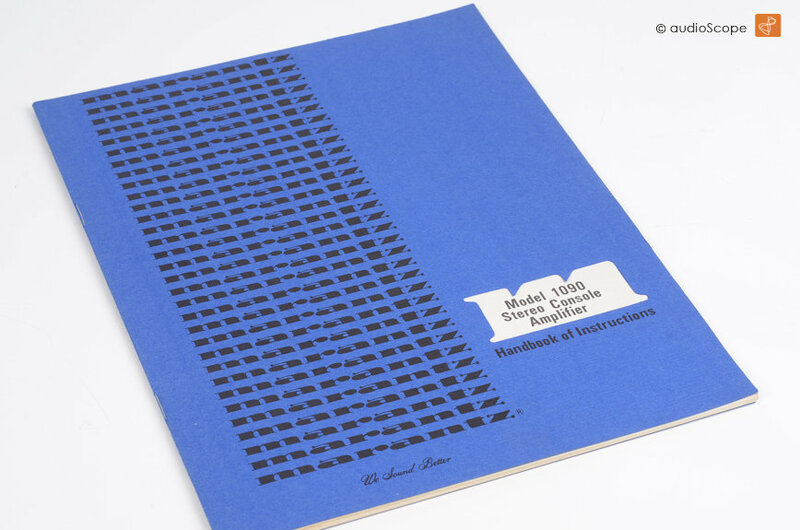 The optical condition is as new. You might find marginal wear if you search for that. Technically, it has just been restored and plays like a new one. 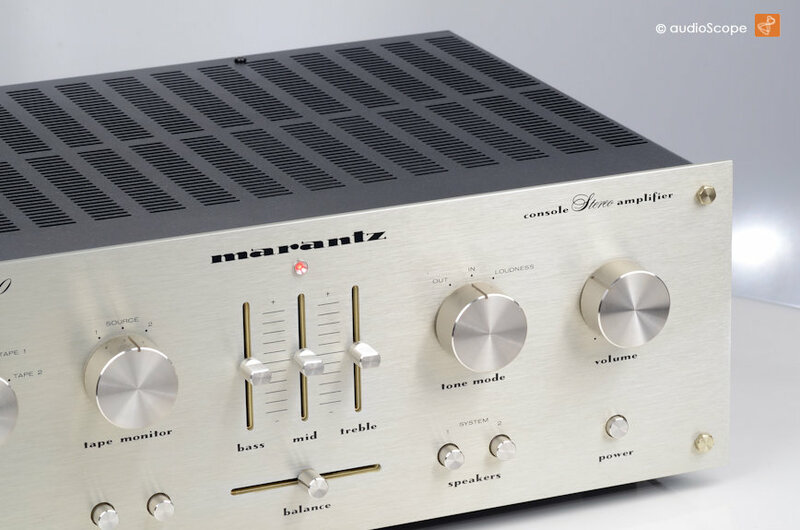 You find technical specifications and measurements if you click the external link below.